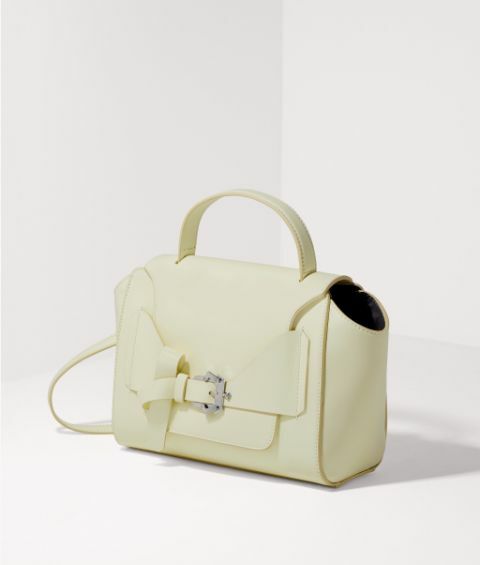 Detailed with a distinctive knotted front and a signature Paula Cademartori buckle, True Small is defined by contemporary design, steeped in timeless refinement. 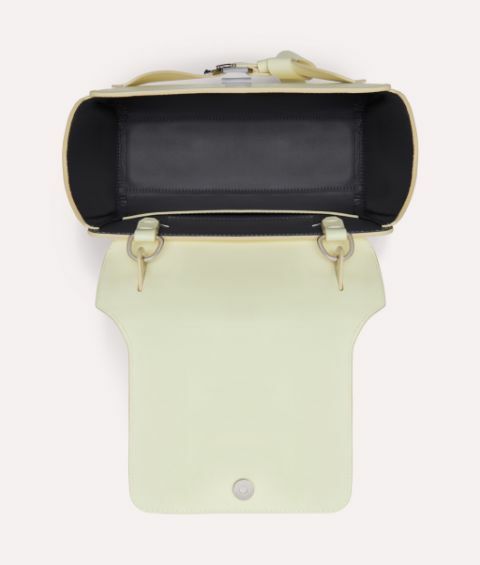 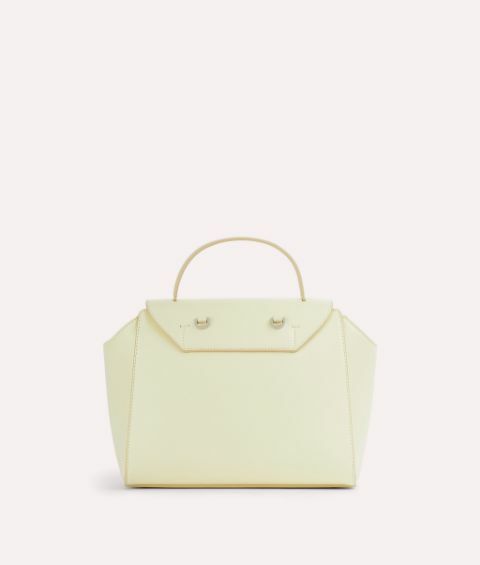 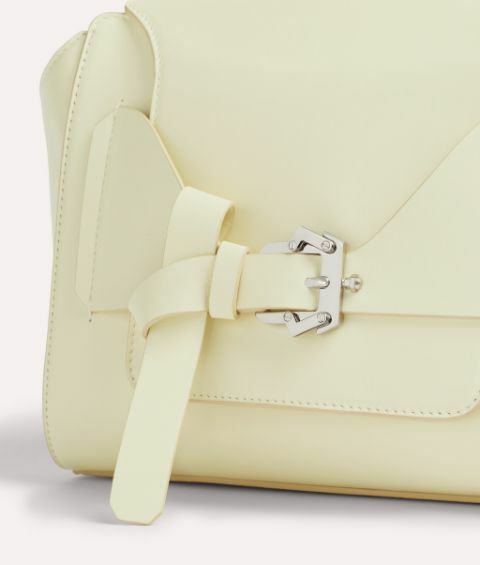 This elegant shoulder bag is immaculately crafted in Italy from luxurious leather in a fresh pastel lemon hue to a clean-lined structure with a detachable strap. 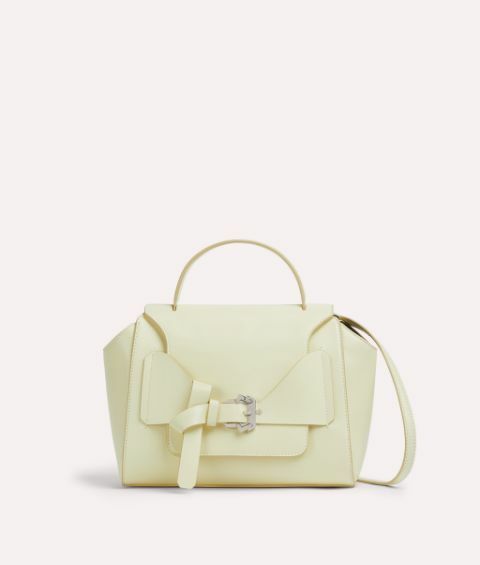 Compact yet spacious enough for your essentials, this refined piece is perfectly poised to become an indispensable part of your accessories repertoire.